Education to increase your Competence & Confidence. Courses to increase your skills and earning potential. Courses to increase your knowledge and make a difference. The Advanced Skin Analysis course (ASA) is an innovative and progressive course that is essential knowledge for all qualified Beauty Therapists, Licensed Aestheticians and Medical Aesthetics Practitioners serious about a professional career in skin treatment therapy. The learning outcome of this course is the complete understanding the causes of a variety of skin conditions from a cellular perspective, along with learning how to use a detailed consultation to determine the contributing factors to conditions, allowing the formulation of a priority solution plan. By understanding how and why the cells and systems of the skin have been compromised, more targeted and effective interventions and treatments can be prescribed. This course will not only expand your knowledge of the skin by reviewing skin Anatomy, Histology, Morphology and Physiology, but give you a new respect for the largest organ of the body. You will learn how to analyse and determine the causes of skin conditions effecting texture, colour and secretions by exploring skin structure and function and relating it to extrinsic and intrinsic causes. The core of the method focuses on determining the CAUSES of skin conditions experienced, in order for the appropriate targeted interventions. This is in contrast to the more simplistic approach of treating the SYMPTOMS of the conditions that is often employed by many individuals. Read more here. The course consists of 52 units of learning over 5 modules. Individual modules are listed to the left. The entire course is approx 64 contact hours and is awarded 6.5 CEU's, 64 CPD's and 37 CE's. Typical completion time is between 3-4 months, with a maximum duration of 18 months. Our participants from around the world have gained insight and career changing knowledge from our courses, and the word is spreading... read what they have to say! This version of The Pastiche Method of advanced skin analysis is the most COST EFFECTIVE way of enrolling for the course; you purchase access to the entire course in one go. This option includes PDF's of the 3 recommended (+ one bonus) books to accompany the course and saves over 20% on the Pay as you go option. Books included are: Advanced Skin Analysis, Cosmetic Chemistry, Diagnostic Flowcharts, and a bonus copy of the Visual Diagnostic Indicator Guide. In this version, content is delivered to you in sequence; as you complete each module you will be automatically assigned the next. 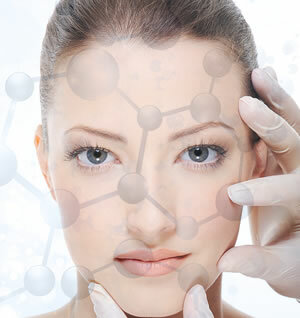 There are 5 modules and 52 units of e-Learning called the Advanced Skin Analysis modules. This course consists of comprehensive notes, video presentations and multiple choice assessments. These will be delivered to you in sequence; as you complete each module you will be automatically assigned the next. This option includes PDF's of all 4 recommended books to accompany the course and saves over 20% on the Pay as you go option. Books included: Advanced Skin Analysis, Cosmetic Chemistry, Diagnostic Flowcharts and Visual Diagnostic Indicator Guide. Choose this option of The Pastiche Method of advanced skin analysis if you are on a budget and want to spread the cost of the course over a longer period. The course content is the same as the bundle option, but does NOT include the 3 e-books used in the course. A link is provided for you to purchase these separately from the publisher. NOTE: There is no upgrade path to the complete course once the pay as you go option has started. As you complete each module, you will receive a link to enroll and pay for the next module in the sequence. As you complete each module, you will receive a link to pay for the next in the sequence. Details to purchase recommended e-books provided. Course material is designed by Florence Barrett-Hill, an internationally acclaimed skin science educator, practitioner, researcher, and author with a vast experience covering all aspects of professional aesthetic therapy, including corneotherapy and paramedical skin care. The course follows her ground breaking book “Advanced Skin Analysis”, first published in 2004 and now a text now read by professional skin care therapists and aesthetic tutors in 16 COUNTRIES worldwide in FOUR LANGUAGES. Within this framework, the 5 modules are to be completed sequentially to obtain certification as a Professional Skin Diagnostician. A combination of quality foundation training combined with post graduate education and experience will be the cornerstone of your educational journey with us. While it is difficult to ascertain if learners have enough prior knowledge and experience to competently undertake the course, these guidelines provide generalised recommendations. Minimum: 800 hours basic training combined with at least 50 hours of post graduate education and 5 years clinical experience. Recommended: CIDESCO, ITEC or equivalent certification, with at least 50 hours post graduate education and 2 years clinical experience. Please note these are generalised guidelines, and many individuals with less experience have successfully completed this course by supplementing their knowledge with other post graduate education. 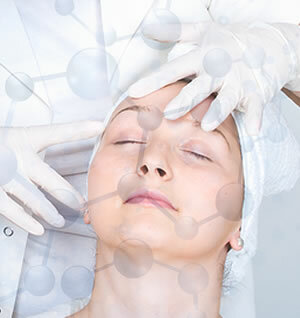 The textbooks Advanced Skin Analysis and Cosmetic Chemistry are companion reading for this course. e-book versions are included in the complete course purchase, but are not in the pay-as-you-go version. They can be purchased individually from the publisher, Virtual Beauty Corporation. Details about the books can be found here.